Author is the world's leading collector of VCs; his trust owns 146. 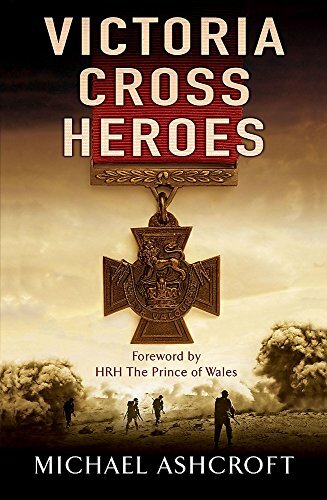 VICTORIA CROSS HEROES tells the stories of over 150 individuals whose bravery has earned them the Victoria Cross, Britain's most prestigious medal for courage in action. The book is introduced by Michael Ashcroft, who owns over ten per cent of all VCs ever awarded. He explains the history of the medal and the story of his fascination with it. The main text of the book tells the stories of both those recipients whose medals are in his collection and those whose stories featured in the television series. Each chapter covers a different conflict, from the Crimean War to Iraq.